This Sensex stock has gained over 50% for six years in a row; any guesses? HCL Technologies shares rose 4 per cent to Rs 1,081 on the BSE in early morning trade. The stock is trading close to its all-time high of Rs 1,125 on September 25, 2018, in intra-day trade. At 10:18 am, HCL Technologies was up 3 per cent at Rs 1,073 and was the top gainer among S&P BSE Sensex and Nifty 50 index. 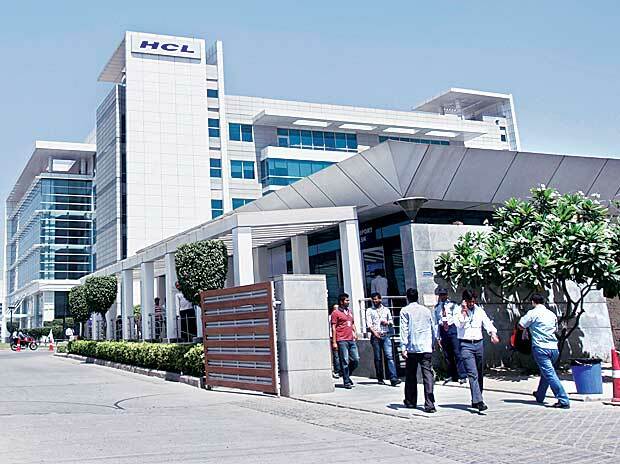 In the past three trading sessions, HCL Technologies has outpaced the market by surging 6 per cent; as compared to 1 per cent gain each in the benchmark index and S&P BSE IT index. The information technology (IT) company has signed 17 transformational deals during the quarter for another straight quarter driven by financial services, technology & services and manufacturing. The management said bookings in 9MFY19 were 40 per cent higher than 9MFY18. Further, a qualified deal pipeline is very healthy and is at a record level. The management expects Q4-FY19 to be a healthy quarter on the back of healthy bookings and deal pipeline in 9MFY19. At the beginning of FY19, HCL Technologies gave guidance of midpoint of its 9.5 per cent-11.5 per cent revenue growth in constant currency (CC) terms with equal contribution from both organic and inorganic means. However, post the October-December quarter (Q3FY19), not only is the firm indicating the upper end of this range but also a higher skew to the organic growth part. With continuity of robust growth across Mode-2 and Mode-3 business (28 per cent of revenue combined) and target of 40 per cent of revenue over medium-to-long term along with limited on-site risk, we expect the growth momentum to continue in the near term supported by strong deal pipeline and ramp up of large deals, according to analysts at Anand Rathi Share and Stock Brokers. The brokerage firm has ‘buy’ rating on the stock with a target price of Rs 1,182 per share. “With the commentary around new deal wins (‘two of the strongest quarters in history in FY19’) and YTD bookings (entirely new) up 40 per cent YoY, HCL Technologies seems poised to exit FY19 in a strong fashion. Also, the pain from Infrastructure Management Services (IMS) and the two large European BFSI customers seems to be behind”, according to analysts at Nirmal Bang Equities. Going into a weaker macro environment in 2019, one needs to be cognisant that spending intentions may not entirely translate into revenues. Ceteris paribus, if macro does not deteriorate materially in 2019 (our base case), we believe HCL Technologies has a fair chance of delivering better organic growth in FY20 compared to a likely 6.5 per cent-7 per cent in FY19, the brokerage firm said.